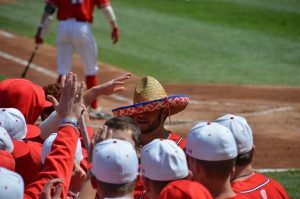 The Bradley baseball team extended its season long losing streak to five games in a 10-9 loss to Southern Illinois Edwardsville Wednesday night. It was the Braves fourth straight loss at O’Brien Field. 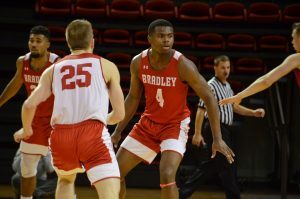 Last weekend Bradley was swept in three games by I-74 rival Illinois State and are just 1-5 in Missouri Valley Conference play. After being 19-11 just nine days ago the team fell to 19-16 on the season. 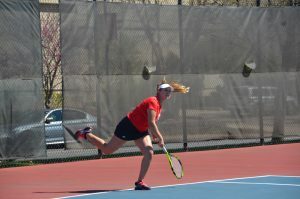 Against SIUE, the Braves made untimely mistakes that was not a characteristic of their hot start. The pitchers combined to throw a school record seven wild pitches and the defense committed five errors in the field. Despite their mistakes, Bradley and SIUE were tied entering the ninth. But the Cougars scored the game-winning run in the top of the inning after Chase Green reached on a single. He advanced to second on a passed ball and to third on a wild pitch before scoring on a two out single by James Vazquez. The Braves as they have done all season were not able to answer in the bottom of the inning. Sophomore Jason Leblebijian led Bradley with two of the team’s five hits. He had a triple and a run scored. Junior Rob Elliott reached base twice and stole his team-leading 20th base of the season. Senior Eric Holmes and juniors Danny Gifford, Nick Gross and Justin Ziegler combined to give up 15 hits but just four earned runs. The recent losing streak has not discouraged the team. Junior Joe Bircher said the team plans to break out of its recent struggles and compete in the MVC. Sophomore Mike Tauchman said the team’s ultimate goal was and still is to win a MVC championship. At 1-5 in the conference the Braves have a lot of work to do. Creighton leads the MVC at 5-1, but with 15 games remaining in the conference season the lead isn’t insurmountable. Bradley continues its eight game home stand with three conference games against Evansville at O’Brien Field this weekend.